Late Saturday night five rockets launched from Gaza fell into open territory in the Eshkol region. In response to the rocket attacks, the IDF struck several terror targets in Gaza belonging to Hamas. The Eshkol Council spokesperson reported that there were no injuries or damages. Earlier in the day thousands of Gazans rioted to mark “Land Day” and the first anniversary of the March of Return weekly protests. IDF Spokesperson Brig.-Gen. Ronen Manelis reported that Hamas’s control of the situation had a major impact on the low level of violence and did not turn out as the military expected. The IDF employed the use of crowd dispersal methods, including live fire and tear gas, to keep rioters away from the fence. Go home! Two children infiltrated Israel armed with a knife. An IDF soldier gave them water and sent them back to their parents. Let this be a reminder to the world about the compassion Israel DOES SHOW as it exercises every right to defend itself from terror. A week-long photo exhibit at the United Nations in New York City proudly showcased Israel’s worldwide and decades long humanitarian-aid efforts. “Israel’s Humanitarian Aid Around the World” featured 18 photographs showing soldiers from the Israel Defense Forces and Israeli volunteers aiding those affected by natural disasters, requiring medical care and more in Haiti, Nepal, the Philippines, Mexico, Brazil, Syria, Liberia, South Sudan and North Mauritania. The pictures were accompanied by brief descriptions outlining Israel’s work in each location. After viewing the reception and exhibit, attendees attended a formal presentation. Guest speakers included Surgeon General of the IDF Brig. 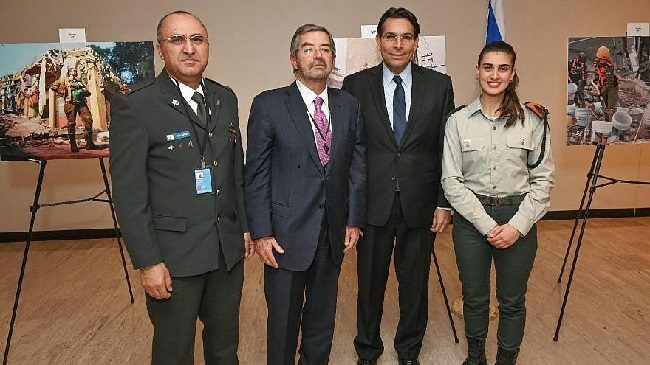 Gen. Dr. Tarif Bader, Mexico’s Ambassador to the United Nations Juan Ramón de la Fuente, Israel’s Ambassador to the United Nations Danny Danon and IDF Lt. Shahar Bachar, who was a part of Israel’s humanitarian delegation to Mexico following the 2017 earthquakes. A beautiful documentary was shown highlighting many of the countries Israel has sent aid to. Key points: Israel is almost always the first country to arrive and is fully set-up with equipment for every possible kind of need. Some doctors and volunteers interviewed said that they don’t even wait for the Israeli government to call asking for their services – they call the government and ask to be sent to the country in crisis. One recipient of Israel’s aid interviewed noted that Israel gets to work right away, while other countries take too long to move into action. It’s all a part of the Jewish people’s mission of bringing light unto the nations – Chesed. That’s the real Israel. JNS story HERE. Exhibit photos below. To learn more about Israel’s global humanitarian work visit IsraAID. On Tuesday, Prime Minister Netanyahu instructed IDF Chief of Staff Aviv Kochavi to send additional forces to the southern command. 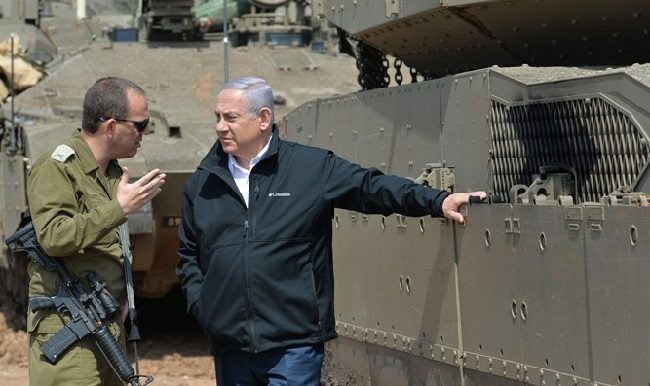 On his visit to the Gaza border today, Netanyahu ordered reinforcement of units in preparation for what could become an “extensive ” campaign. An IDF official reported that over a 24 hour period 60 rockets were fired at Israel from Gaza on Monday. Israel’s response was swift and hard hitting. Among those Israel pounded heavily throughout the night: Hamas and Islamic Jihad military compounds in the northern Gaza Strip, offices of Hamas senior political leader Ismail Haniyeh, a building housing the organization’s general and military intelligence headquarters, and internal security offices. Hamas carried out its threat to increase launches of incendiary balloons into Israel. While Israel’s enemies keep attacking her, what have they really accomplished for their own interests? Nothing that we can see. In reality, they keep losing and Sderot Mayor Alon Davidi told them so in an open letter. Why did this week’s rocket attacks on Israel happen? Hamas’ problems at home could be to blame, as Khaled Abu Toameh discusses in his Jerusalem Post Opinion. TERROR AND VIOLENCE STRIKE ISRAEL Accident? We Think Not! 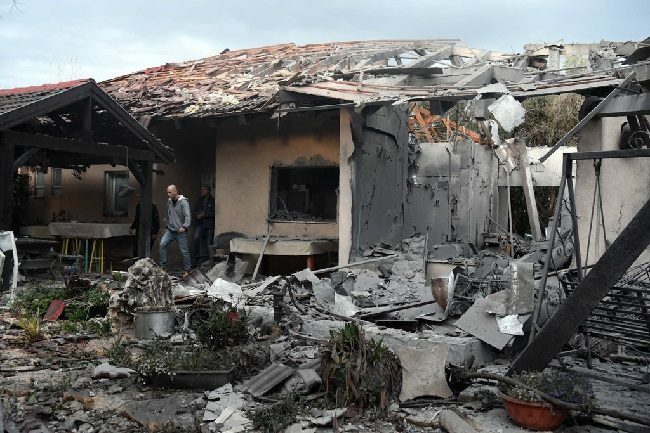 Early Monday morning, a rocket fired from Gaza struck a home in Moshav Mishmeret, north of Tel Aviv in the Sharon region. While no fatalities have been reported, seven people are reported injured. Of concern to AFSI is that Israel’s Iron Dome did not intercept the rocket. It is estimated that the rocket fired can reach a range of more than 100 kilometers and since it travels on a nonlinear path it cannot be intercepted by Iron Dome. In light of this recent attack, Prime Minister Netanyahu will cut short his visit to the US today. Though Netanyahu will meet with President Donald Trump, after their meeting Netanyahu will return to Israel immediately. Reports also state that warning sirens were only heard in some areas of Mishmeret and that residents barely had time to respond to the attack. The IDF began attacks on Hamas positions in response to explosives thrown during night riots. One explosive triggered sirens in in he Eshkol region, says IDF spokesperson. Tzvi Joffre reports in The Jerusalem Post. AFSI friend Josh Hasten’s inside report tells us “Train service suspended to Sderot, Ofakim, and Netiviot. Shelters opened in Ashkelon. Anticipating a rough night ahead. Hamas inmates riot, stabbing and wounding prison guard in neck. Report by Times of Israel Staff. Hamas’ ‘night unit’ threatens escalation on Gaza border – will increase its launching of incendiary balloons during the day this week. Sara Rubenstein in Arutz Sheva. 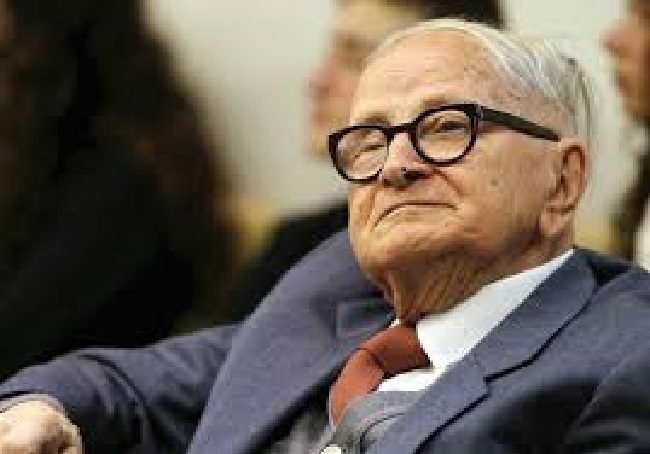 Rafi Eitan, z”l, a lead Mossad spy involved in the capture of Adolf Eichmann, passed away on Saturday at age 92. Former Mossad chief Shabtai Shavit told The Jerusalem Post that Eitan was one of “the founding fathers of intelligence and operations for the State of Israel… He was an out-of-the-box thinker, highly skilled and helped train the next generation” of Mossad agents. 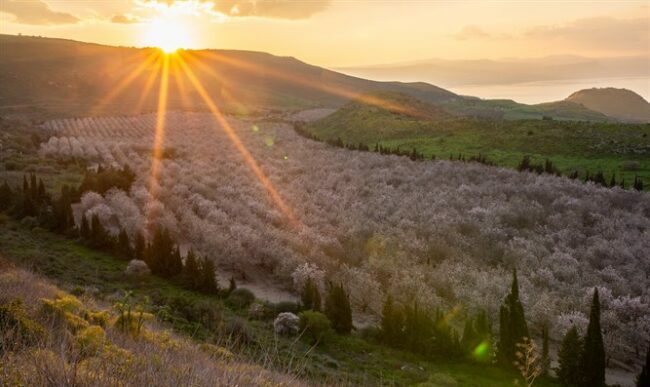 In an historic announcement today via Twitter, President Donald Trump announced that after 52 years it’s time for the United States to fully recognize Israel’s sovereignty over the Golan Heights. We thank President Trump for having the courage and fortitude to do what is right for Israel and the western world! 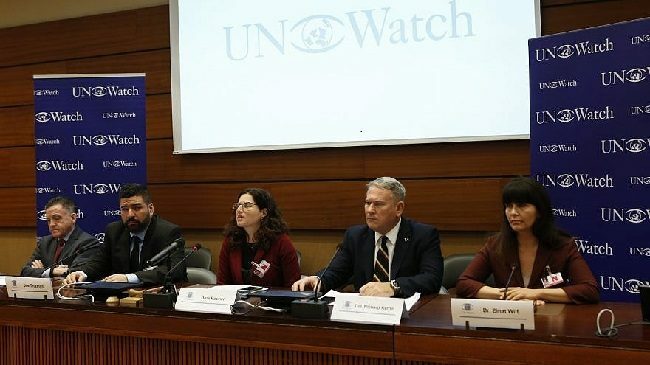 Several experts revealed major fallacies and biases in the recent UNHRC report on activity at the Gaza border. 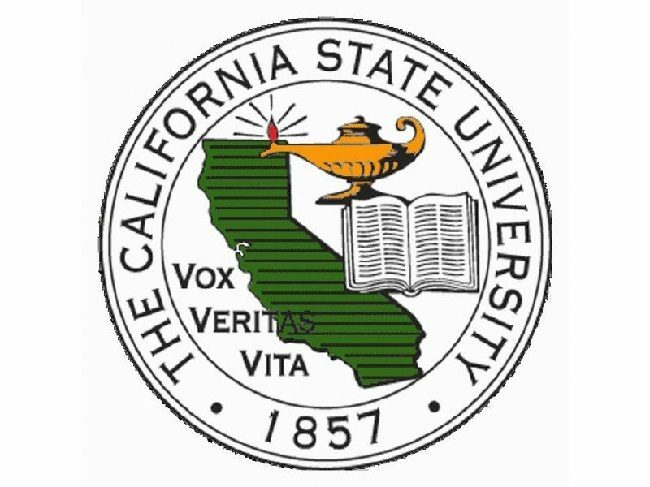 The California State University (CSU) agreed to a settlement on March 20 that includes them issuing a statement acknowledging Zionism’s importance to Jewish identity. The case, Volk v. Board of Trustees, involved two San Francisco State University (SFSU) Jewish students alleging that SFSU and the CSU Board of Trustees engaged in anti-Semitism against them when SFSU prevented the campus Hillel from participating in the campus’ “Know Your Rights” fair in February 2017. They were represented by The Lawfare Project and Winston & Strawn LLP. Story HERE | Lawfare Project Press Release HERE. 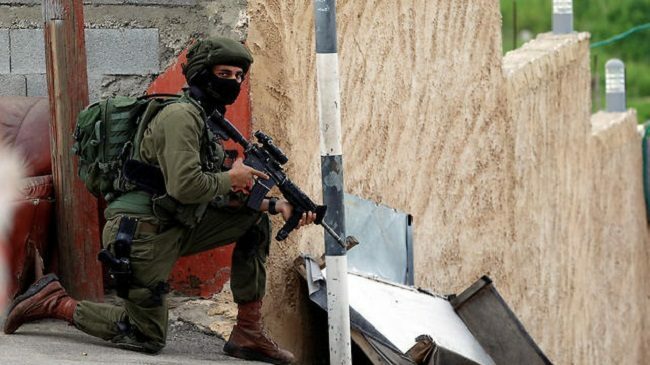 The Israel Defense Forces launched a massive manhunt for the individual who committed terrorist attacks on Sunday morning near the Ariel junction. IDF soldier Gal Keidan and Rabbi Ahiad Ettinger were killed in two separate shooting attacks. Despite suffering massive bleeding, Rabbi Ettinger bravely fired fours shots at the attacker in an attempt to neutralize him. One IDF soldier, also shot at, is in serious condition. Cars heading for the center of Israel are being searched to ensure that the attacker doesn’t try to reach populated areas. Israel also deployed large numbers of troops and special forces to the site of attack. 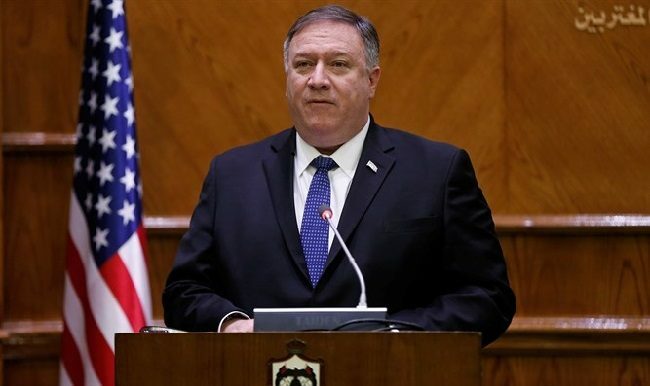 The 2018 Human Rights Reports, released late this week by US Secretary of State Mike Pompeo, include a section on the Golan Heights, Judea, Samaria and Gaza. The words “occupied” and “occupation” have been dropped from everything related to Judea and Samaria and Gaza.